CDK Global Inc (CDK) Holdings Trimmed by Security National Trust Co.
Chicago has the largest population in the U.S. of residents who were born in Mexico and one is Jesus “Chuy” Garcia. He is running for mayor and if elected he would be the first Mexican-born mayor in the history of the city. 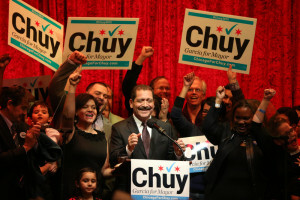 That possibility has set off interest nationwide in the mayoral race, particularly amongst Hispanics, who see it as a major breakthrough for the biggest ethnic and racial minority in the U.S.
Garcia is not the first Hispanic to run for mayor; however, he is increasingly being seen as having a very real chance of defeating Rahm Emanuel the incumbent Mayor in the runoff set for April 7. 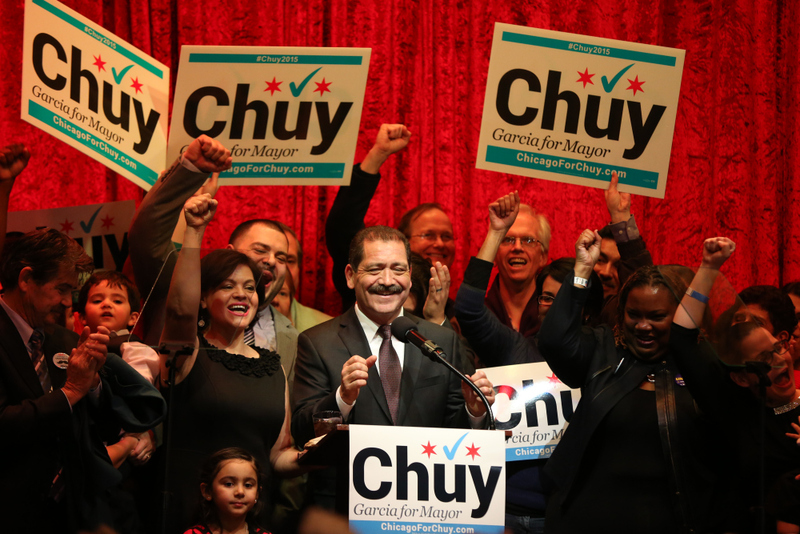 In the mayoral primary that had five participants, Rahm earned 46% of the vote and Garcia 34%. Since neither earned over 50%, the runoff next month will determine the winner. The emergence of Garcia as one of the final two candidates in the runoff came as a big surprise to most. He entered the race very late when one other candidate did not run. He did not have much financing. Now he must convince his fellow Chicagoans his platform will tackle the myriad of challenges of the city. Hispanics are pushing to receive more of a presence amongst those in political office, demanding representation that equals the growth in population to over 54 million Hispanics. Garcia could be carrying the national hopes of Hispanics with him in his campaign. However, he will need strong financial backing and a huge turnout from voters to beat Rahm, who is better networked and better financed. Before becoming mayor of Chicago, Rahm was the chief of staff for President Obama and the first Jewish mayor of the city. Garcia is scheduled to attend a gala March 24 in Washington where Hispanic political activists, lobbyists and office holders will be present. Some supporters of Garcia cite the immigration issue contrasting him with the incumbent mayor, who Hispanics have said masterminded policies that did the most damage to Hispanics, mostly immigrants that has been seen in a generation. CDK Global Inc Holdings Trimmed by Security National Trust Co.